My feelings towards guacamole are real and intense. I love it so. I feel like it is the perfect food, not to mention it is often accompanied by a margarita. So I played around and came up with this version which is spicy and sweet, creamy and delicious. 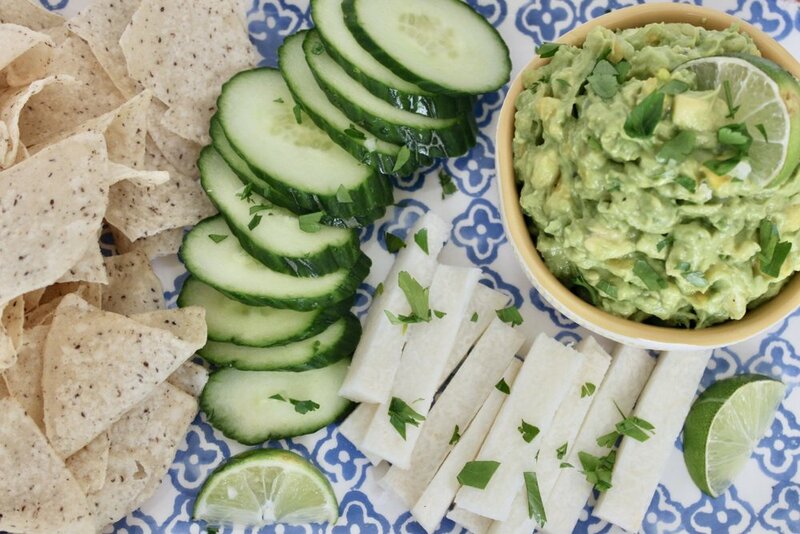 You can serve it with jicama, cucumber slices and chips like you see here or pick your favorites! Throw a spoonful on some fish tacos as well. Or just put your face in the bowl, which I am tempted to do from time to time. Please don't judge me. Note- the chips are Siete Foods cassava flour tortilla chips. These are amazing! You can find them at Sprouts or Whole Foods and are perfect for anyone who avoids gluten and corn. 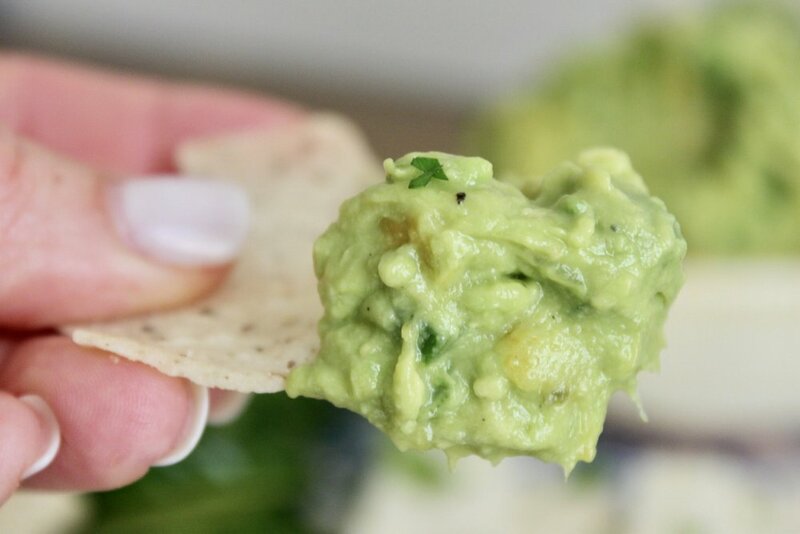 In a bowl, place avocado and mash to preferred texture. Add remaining ingredients, mixing to incorporate well. Taste and adjust seasoning, adding more salt or lime if needed.